With a dual biocide formulation, MC10+ tackles algae and biological contamination with ease. Extra concentrated, containing two active ingredients, it’s more effective than single biocide products when it comes to preventing the problems that arise in underfloor heating. 500ml bottle will provide effective long-term treatment for 100 litres. MC10+ can also be used to provide sanitisation when commissioning or cleansing a heating system. For larger systems, use further MC10+ as required. To introduce MC10+ to the system, we recommend using the MagnaClean® canister to dose the system. Alternatively, dose via a radiator or the F&E tank. 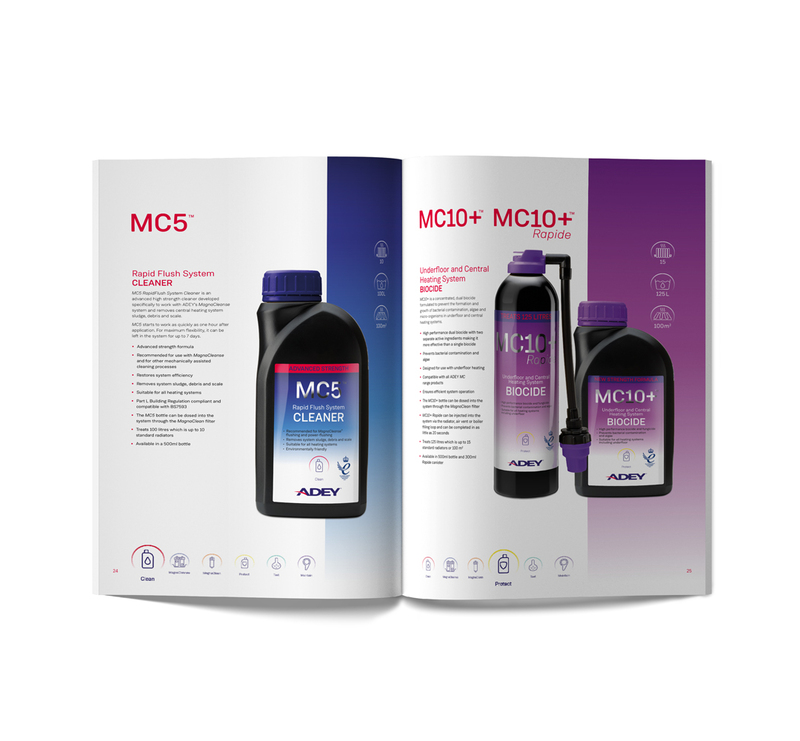 For effective system protection use MC10+ Biocide in conjunction with ADEY’s MC1+ Protector. Do not use in single feed indirect cylinders. Also available in the following sizes: 300ml, 10L, 25L, 200L and 1,000L.